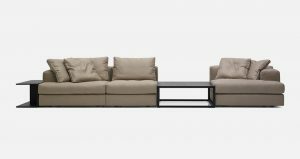 System of upholstered elements: sofas, chaiselongue armchairs, end and central elements, corner units and ottoman to be used alone or with all the other elements. 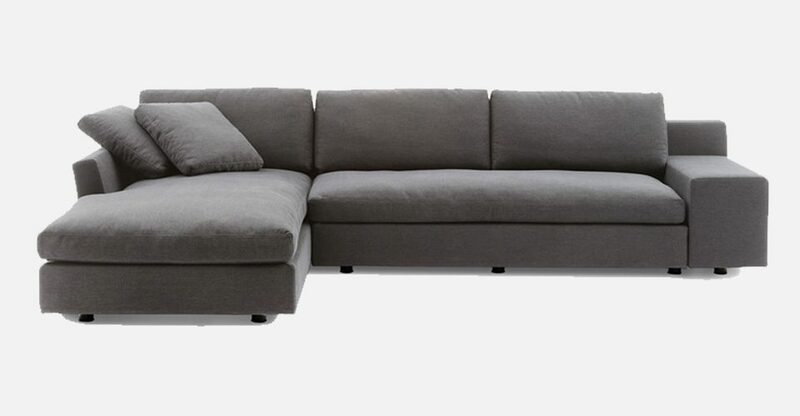 It can be fitted with traditional rectangular back cushions. 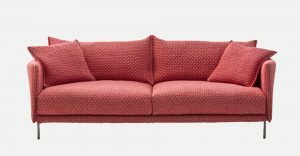 The frame upholstery is in polyester wadding. The cushions are filled in feather or polyester. 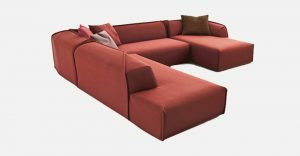 Each element is fully upholstered with covers which can be removed extremely easily (each item can easily be dismantled into all its component parts). The range also includes an accessory: a wengé top with an Archimoon Soft lamp by Flos attached.